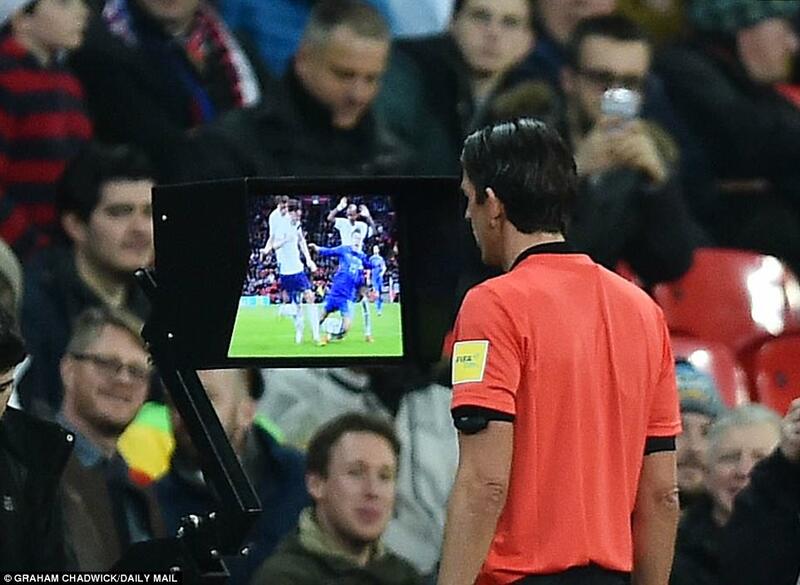 Well, we can all go nuts about VAR again, or we can look at a bigger picture than was on referee Deniz Aytekin’s pitchside screen. Maybe England were robbed. 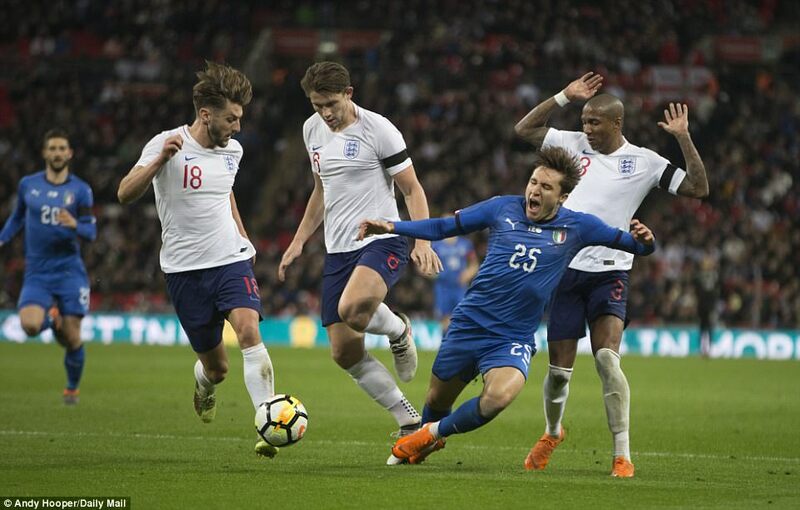 Maybe James Tarkowski inadvertently trod on the foot of Italian substitute Federico Chiesa. Bizarrely, Aytekin appeared to apply the technology only as an afterthought. Yet none of this matters. Not really. 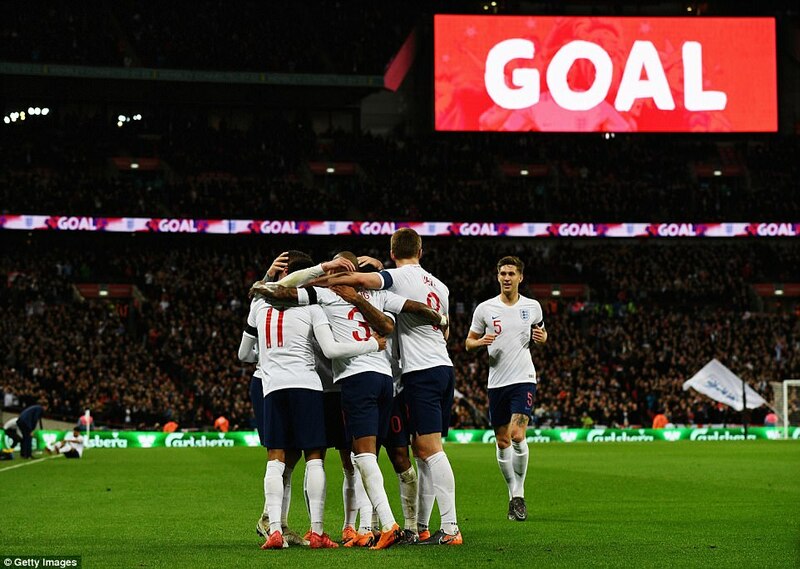 As we are so often reminded about international football, the concern is not the result but the performance — and once again there were signs of progress and promise from Gareth Southgate and England. 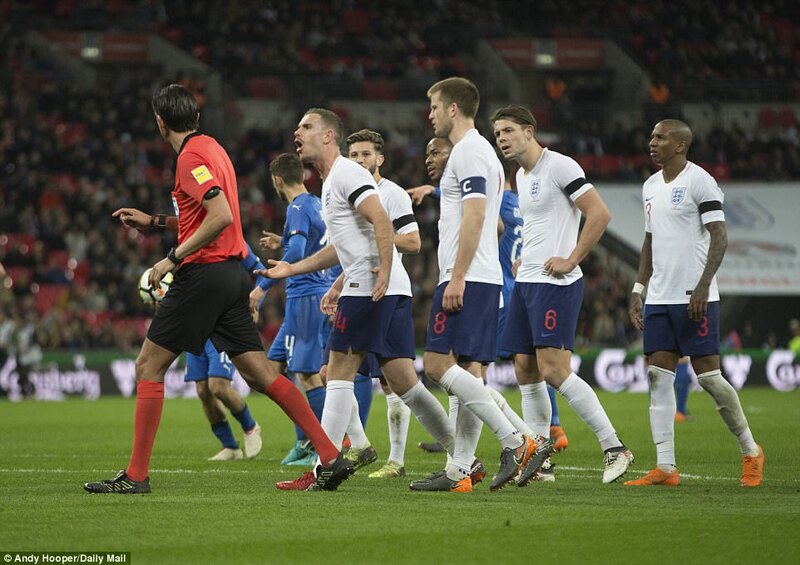 VAR cost England a win at Wembley after the excellent German referee, Deniz Aytekin, decided that James Tarkowski’s tread on Federico Chiesa was clear and obvious enough to overturn his original decision to award a corner. Replays showed that Chiesa was already going down before Tarkowski caught the Italian striker but it was still a foul as the ball was in play and the contact illegal. From what we’ve seen during FA cup experiments with VAR this season I don’t believe a penalty would have been given. However, it was a foul, perhaps harsh on England but certainly not wrong as the contact was clear using slow motion which VAR has the benefit of using to determine point of contact. The referee was superb throughout the game, waving for play to continue when players went down easily and allowing England’s quick free kick which led to their goal. If officiating is like this at the World Cup Finals there will be no complaints at all. No, it was a night not without flaws and early mistakes at the back could have turned it quite horrid. 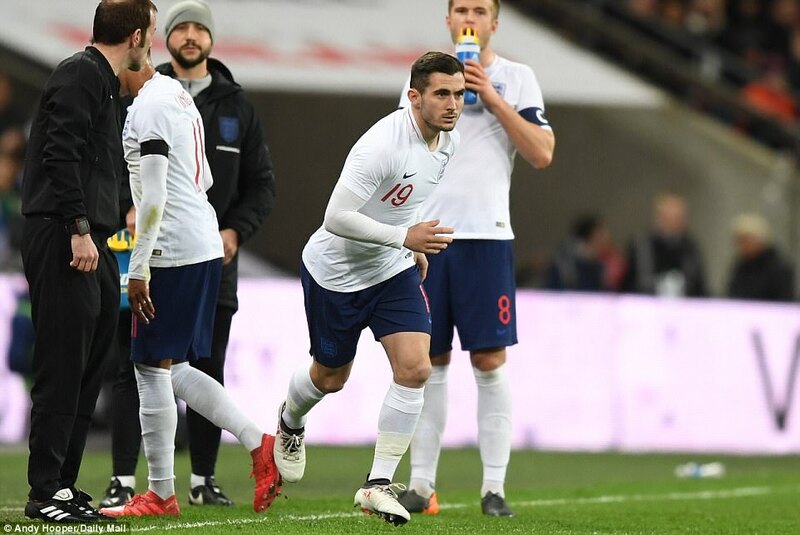 But having ridden their luck, England once again demonstrated the steady improvement we are seeing under Southgate, the ambition of his project, the ideas and experiments that are beginning to work. Kieran Trippier at right back with Kyle Walker inside is a good plan. Ashley Young at left wing back, then right, showed versatility that is a boon to any squad in a tournament. 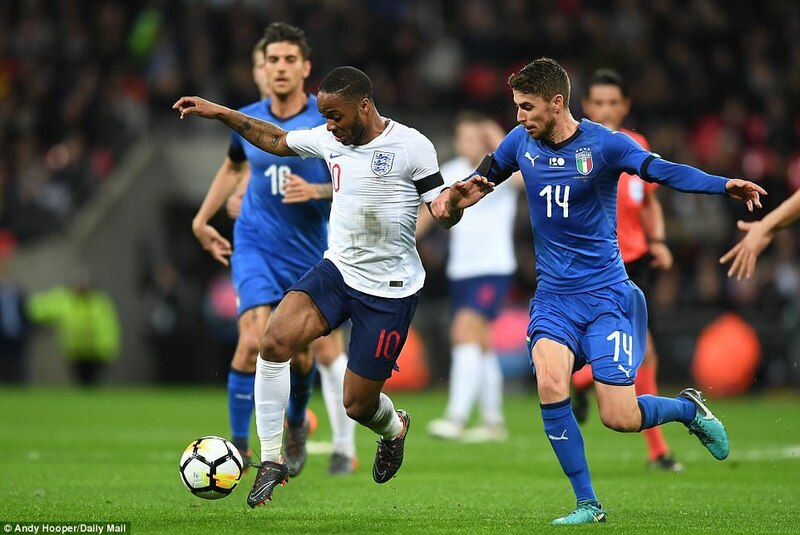 Raheem Sterling was excellent again, so was Jesse Lingard, while Alex Oxlade-Chamberlain is growing into a central midfield role that Southgate was initially unconvinced he could play. And then there is Jamie Vardy. 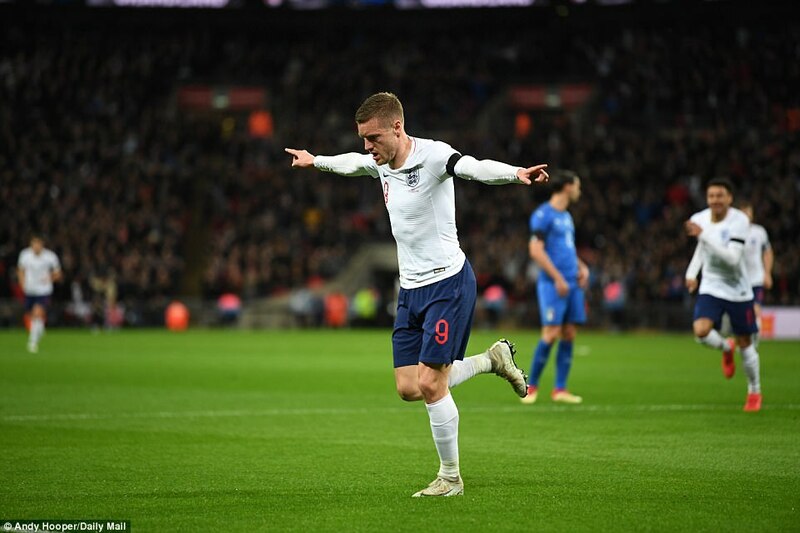 How will England fare without Harry Kane was the question and Vardy answered it with a goal against another of Europe’s major nations. 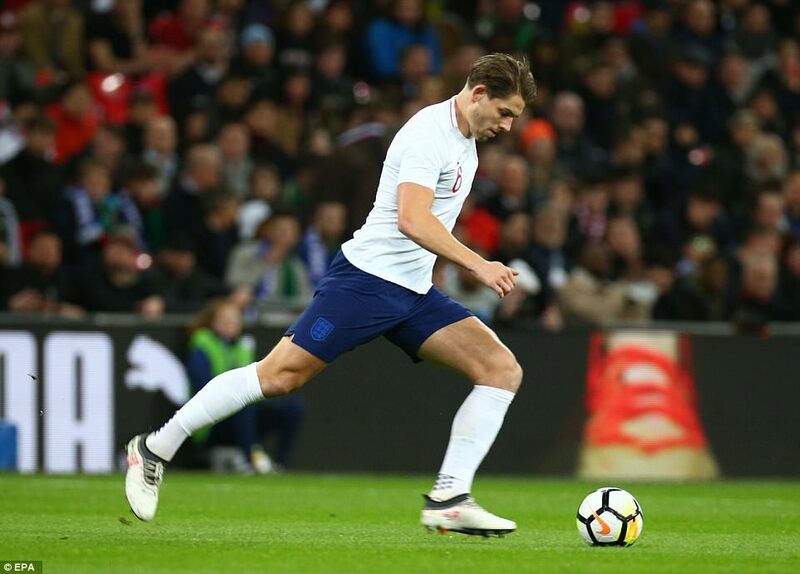 He has now scored against Spain, Germany, Holland and Italy for England — and against every team in the Premier League’s top six this season. Yes, the internationals were all friendlies. Even so, these are elite players with elite nations, and Vardy has found a way through. It is not as easy as he makes it look. 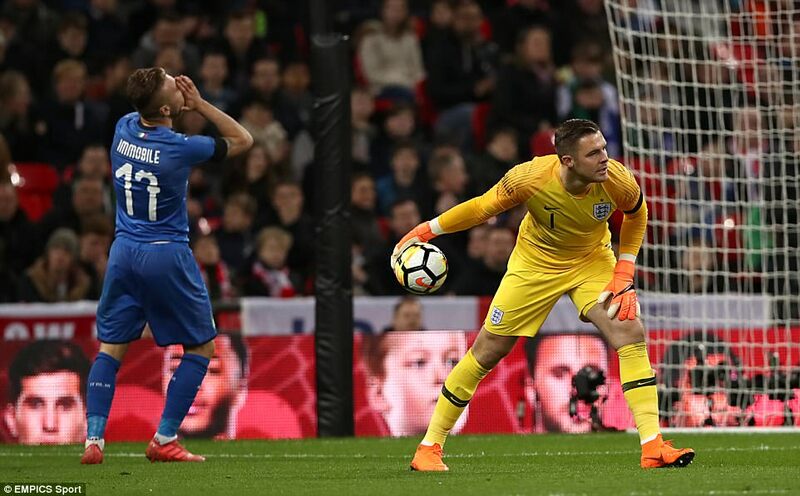 When the clock ticked past the 64th minute at Wembley on Tuesday night, England passed the 10-hour mark without conceding a goal. That shows how hard it is. And that record would be intact without VAR. Aytekin gave nothing for the initial coming together with Chiesa, which involved not just Tarkowski but Young and Adam Lallana, too. Chiesa had made the most of his fall and had now collapsed a second time on the edge of the area, claiming injury. Still no reaction from the referee. Suddenly, it seemed to occur to him that he had an option available and he made the signal that he would go to the screen. He returned a changed man, convinced Chiesa had been wronged. 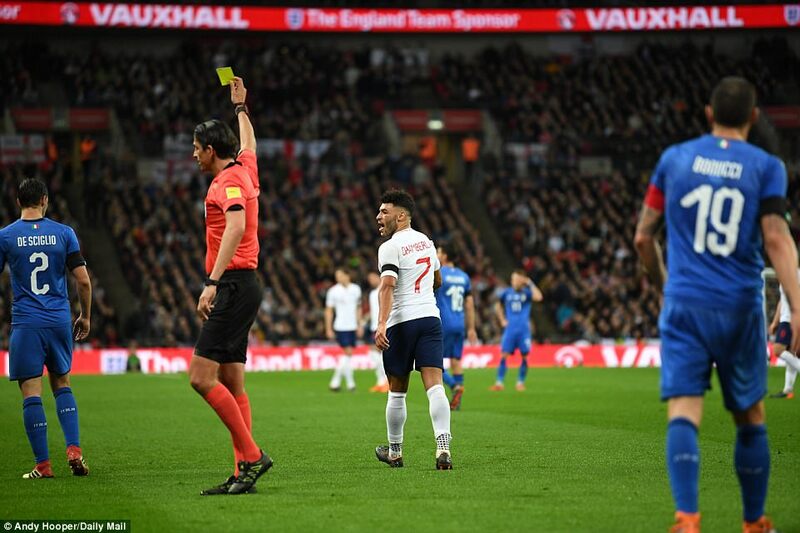 Kyle Walker had to be dragged away from a protest, but Lorenzo Insigne’s penalty brooked no argument. It was perfect. Jack Butland guessed right but still had no chance. Might England have won had the teams remained stable? Possibly. 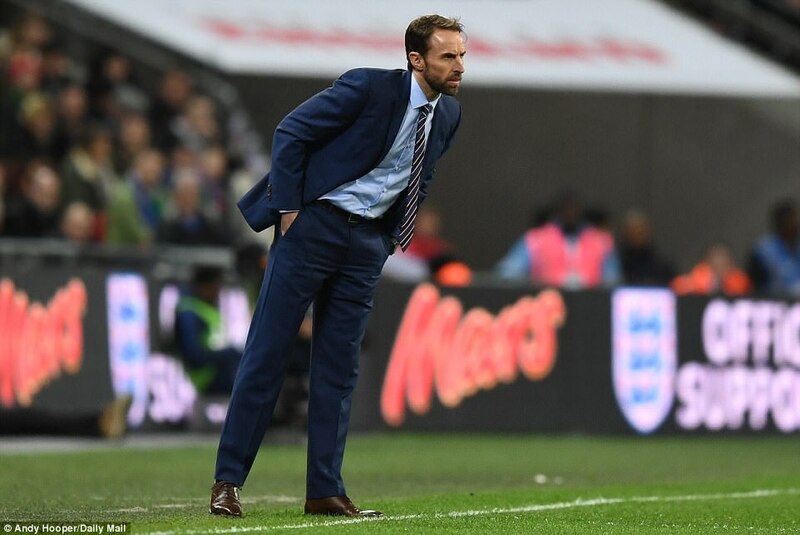 As usual the invasion of substitutes killed the flow, although it did allow Southgate to tinker some more, with time running out to finalise his plans for the summer. The result was not the worst, either. England have now, in the space of five days, defeated Holland away and played well for long periods against Italy. And while neither nation will be present in Russia this summer, there is still a pleasant satisfaction in that. The biggest improvement for England of late? Game intelligence. How often has its absence from England performances been bemoaned? Outwitted by Germany in 2010, outwitted by Uruguay in 2014, frozen by Iceland’s sheer spirit in 2016. All the more reason, then, to acknowledge the goal that gave England the lead. It was smart. It was quick-thinking. It was all the things English footballers are not supposed to be. And it was the football brain of Lingard that was responsible. So often happy to be depicted as the class clown, and playing up to it with his social media profile, this has been a coming of age season for him, despite the antics. Jamie Vardy’s goal was his first for England in 366 days. His previous strike came in a 2-0 World Cup Qualifier win over Lithuania at Wembley on March 26, 2017. Lingard was thinking more brightly than just about anyone else in his orbit when putting Vardy away for England’s opener. Credit Sterling, too, for his sheer persistence. Moments earlier he had burst through the centre, been brought down, but got to his feet sharply, able to continue the run. He slipped Vardy in but his finish was ordinary and saved with little fuss by goalkeeper Gianluigi Donnarumma. Soon after, the same again. Sterling on the run, Sterling sent tumbling, Sterling up and carries on, Sterling felled again. Rightly, he was furious. 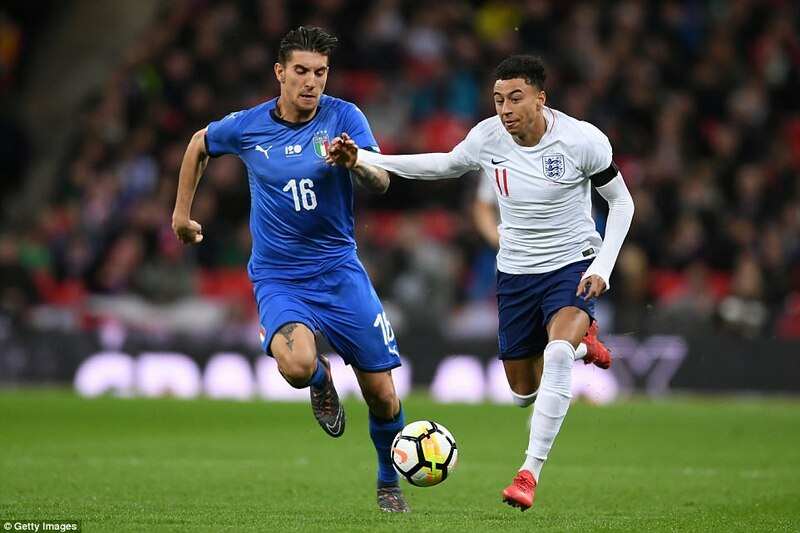 While he was using the stoppage to implore referee Aytekin to take a firmer stance with Italy’s defensive line, Lingard was using it to take football’s equivalent of a scrum-half’s tap and go. He passed the ball swiftly into Vardy who made no mistake with his second opportunity of the night. 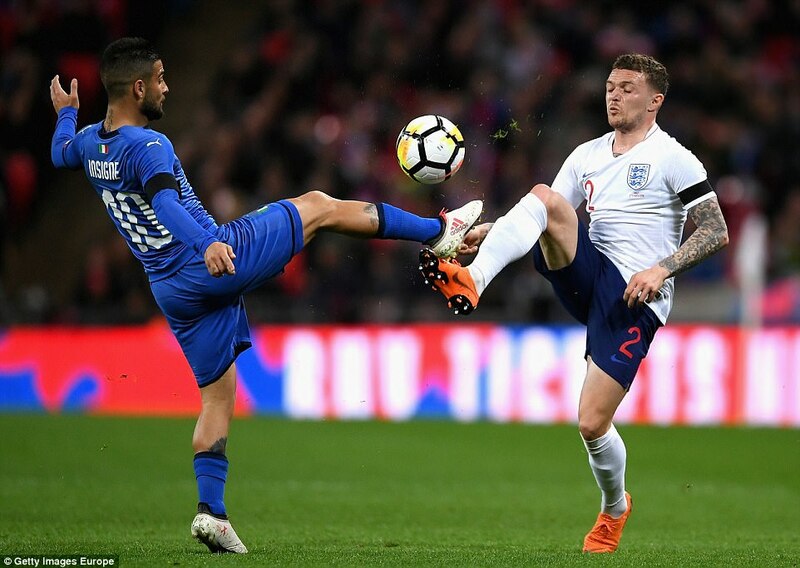 This time Donnarumma had no chance, the ball lashed in with Vardy’s right foot — his first goal for England in 366 days. There was much to like about England going forward. The speed, the movement, yes, the intellect. 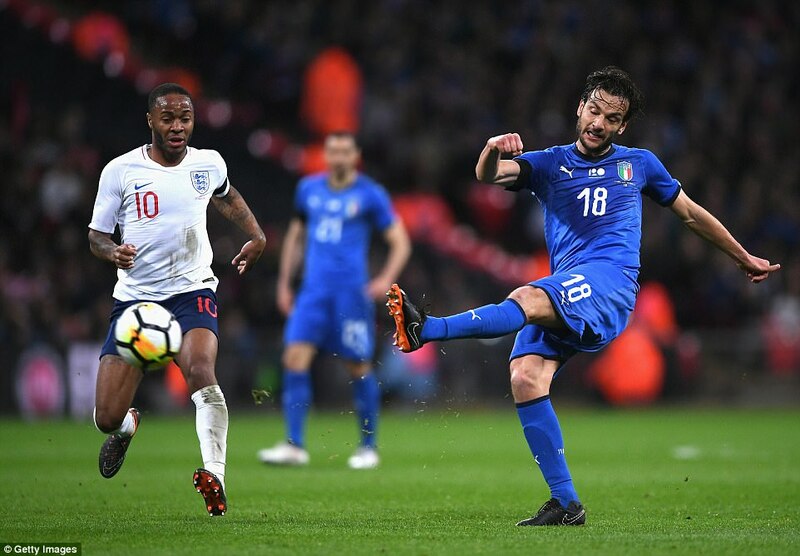 When a set piece broke down and Young chased Italy’s counter-attack out to the flank, it placed him on the same side of the pitch as right wing-back Trippier. Who filled in for Young on the left? Lingard, doing his duty until Young could cross the pitch. 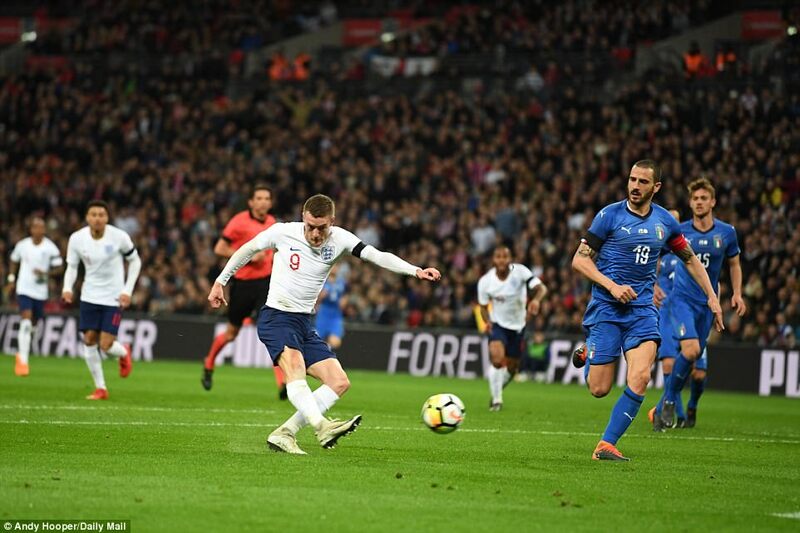 At other times, England stretched Italy on the flank and Trippier tested them with a succession of well-struck corners. Sooner or later, this is going to pay off — maybe in Russia this summer against opponents not so seasoned at defending dead balls. Yet this is not to say England’s display was without flaws. They could have been three goals down before the Vardy strike and on each occasion questions had to be asked of the defence. 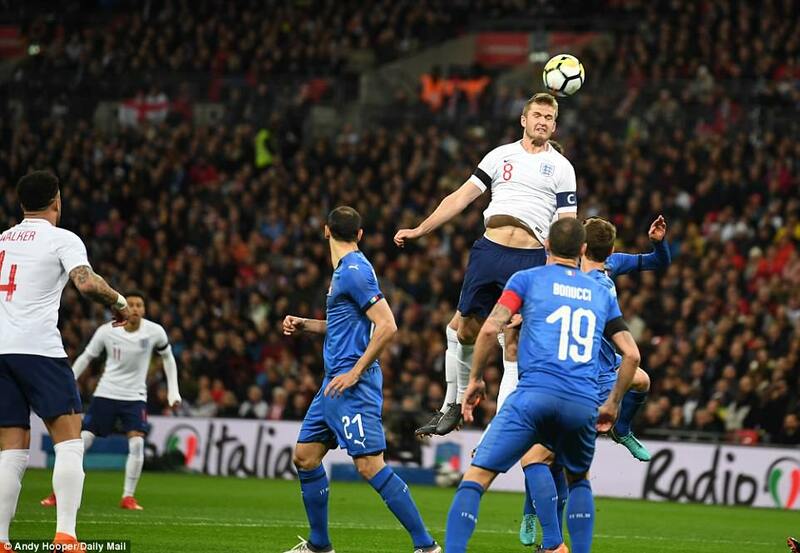 From Italy’s first attack, Jorge Luiz Jorginho floated a neat pass read by Ciro Immobile but not John Stones, who allowed the striker to run off him into space. He was caught, but a more clinical striker would not have been. Perhaps rattled by this early lapse, Stones than allowed Immobile to catch him in possession on the edge of his own penalty area. That should have been a goal, too. England could have been two down in three minutes, and were at fault both times — sloppiness Southgate can ill-afford in Russia. 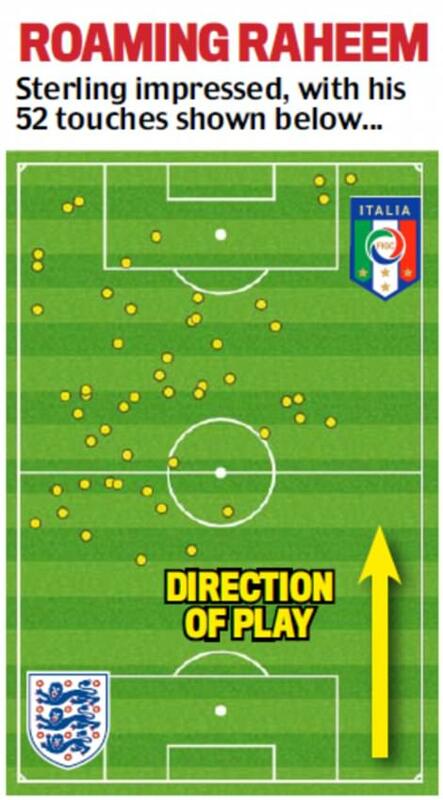 Then, in the 17th minute, a wonderful chance of Italy’s own creation. Antonio Candreva hit an outstanding cross from the right, met by Immobile. He should have scored but sent his header flying over. He is far from static but not the best at hitting the target. More Inaccurate than Immobile.